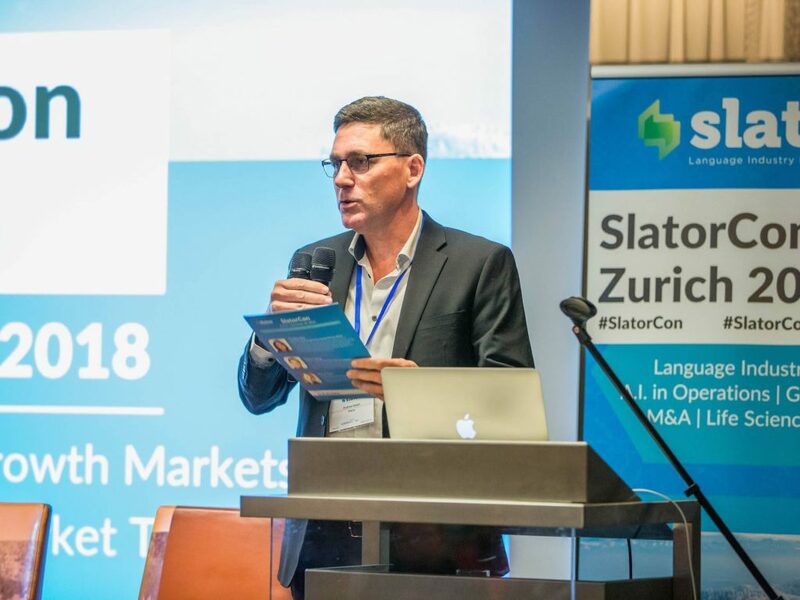 Senior professionals from across the language industry descended on Switzerland’s largest city for SlatorCon Zurich, the final SlatorCon of 2018. Some 75 industry leaders gathered at the downtown Sheraton Hotel to hear from six speakers whose areas of expertise span big tech, life sciences, investment banking, private equity, language service and language industry intelligence. Slator Co-founder Florian Faes welcomed guests and opened the conference with his take on the main tailwinds driving the language industry. It’s still a buoyant market, Faes said, and some specific pockets of the industry such as media localization, life sciences, e-commerce, remote interpreting and gaming have been experiencing above average growth, boosted by their own vertical-specific growth factors. Sharing her experience within the life sciences vertical was Claudine Nick, Head of Project Management for the internal language services department of multinational healthcare company Roche. The super sensitive nature of the content within this highly regulated industry means that there are extremely stringent data privacy and compliance considerations that have to be adhered to throughout the translation process, Nick said. The capacity that Nick’s team has to manage and perform human translation securely within Roche’s “center of excellence” for language is of “big value” to the company, she added. During his presentation, Faes described how new services, including language data creation and curation, have sprung up to fuel the growth of the data-hungry neural machine translation (NMT) technology. It’s “probably going to be a long-term trend for this industry,” Faes predicted. The industry’s thirst for language data is here to stay, therefore, as NMT tech has stepped up a gear to enter a what Faes identified as a “new phase, which is customizable machine translation.” A game-changer for the industry, big tech frontrunners Microsoft and Google have both begun to sell custom NMT direct to customers in the last six months, Faes said. On hand to discuss the latest advances in Google’s machine learning capabilities and its recently-launched custom NMT offering, Auto ML Translation, was Francesco Bombassei, Senior Technical Program Manager at Google. Bombassei said that with the new system it’s quick and easy for users to build their own custom NMT models by simply uploading their specific bilingual data and waiting about three hours for the engine to be ready. 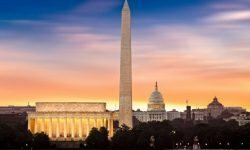 Someone who knows all too well about the challenges of deploying machine translation in a production environment is President of language service provider (LSP) Ubiqus, Vincent Nguyen. Ubiqus is company that is not only investing resources into developing open source NMT, but has also spent the past year embedding the tech into its production workflows, Nguyen shared, to the point that he thinks about NMT as “just another CAT [productivity] tool in the workflow”. To be able to get to the point of deploying NMT operationally, Nguyen said that it’s essential to secure buy-in from the people who actually interact with the technology: the translators and project managers. According to Nguyen, this journey is made easier if management is engaged and owns the roll out. Ultimately, though, while it is not (yet) perfect, “NMT output itself is the best advocate for NMT,” Nguyen concluded. As well as the company’s focus on NMT, Ubiqus is also no stranger to another SlatorCon Zurich hot topic, M&A, having acquired Montreal-based Textualis in September 2018, the latest in a string of acquisitions Ubiqus has made over the past 15 years. Nguyen said during the speaker panel that over the past 18 months M&A in the language industry has “been heating up, especially among the top 50, top 100 [ranked providers]”. One such provider is LanguageWire, whose Deputy Chairman Rasmus Lokvig spoke to the audience about the role of private equity firm CataCap, where Lokvig is also a Partner, in first taking a majority stake in LanguageWire before enabling the (ca.) USD 30m LSP to buy Xplanation, a company roughly equal in size. Buying up a company with the same ballpark revenue can be “more tricky and [involve] more risks” Lokvig said, but it’s worth it if it’s a good fit. And in Belgium-based Xplanation, LanguageWire saw a potential acquisition target that ticked all the right boxes, Lokvig emphasized, because it was complementary to LanguageWire in terms of size, geography, customer base, technology and people. Walking the SlatorCon attendees through the blow-by-blow of executing an acquisition or sale, investment bank Raymond James’ Managing Director, Dominic Emery, highlighted the fact that “preparation is absolutely critical” and can determine “not just the [success of the] deal but all the value you will create after the deal,” Emery said. Raymond James specializes in facilitating M&A for tech-focused companies, including in the language industry, and has observed that “more and more of it is happening in this industry,” echoing both Nguyen’s and Faes’ assessment, and commenting that “market conditions are very hot,” which is influencing valuations. The likely result of this increased M&A activity Faes summed up in his 2019 outlook. “Big LSPs will get bigger”, he predicted, pointing to more consolidation among already sizable players in the language service space. His other forecasts? Custom NMT will continue to gain traction, which will lead to specialized solutions and niche expertise in this area, Faes said. The Slator Co-founder also left a question mark over the impact that the language industry’s growing band of startups will have in the near term. To date, Faes said, none have succeeded in disrupting the competitive landscape in any meaningful way. But 2018 has seen more cash pumped into language industry startups meaning many will be under increased scrutiny to deliver results and making 2019 a likely crunch time for the now well-funded startups. 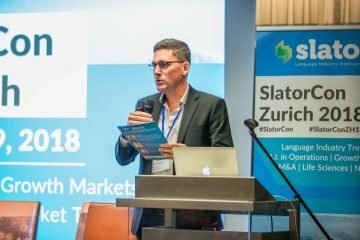 Deeper coverage from each of the speakers presenting at SlatorCon Zurich 2018 will follow in the coming days and weeks.